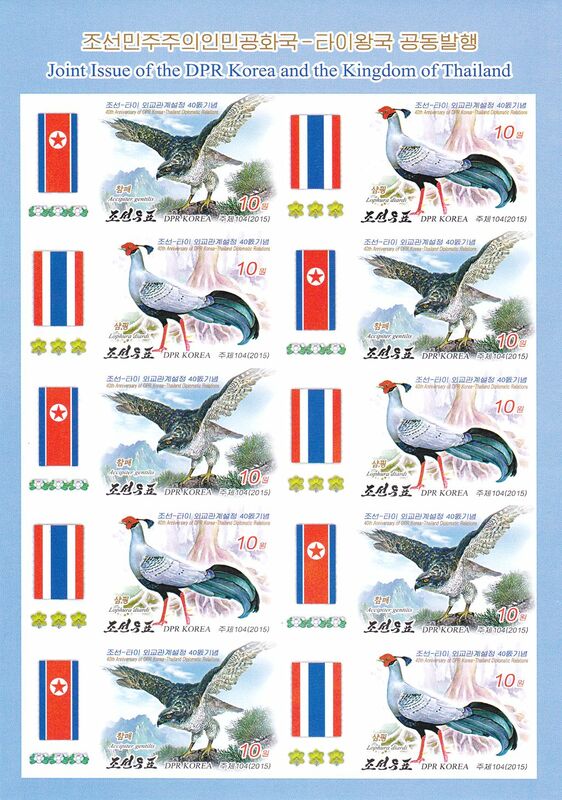 L4685, "Korea-Thailand Diplomatic Relation", Full pcs SS Stamp 2015, Imperforate. MNH, please see the pictures. 5 sets of 2 pcs: 1 pcs SS with 10 pcs stamps.